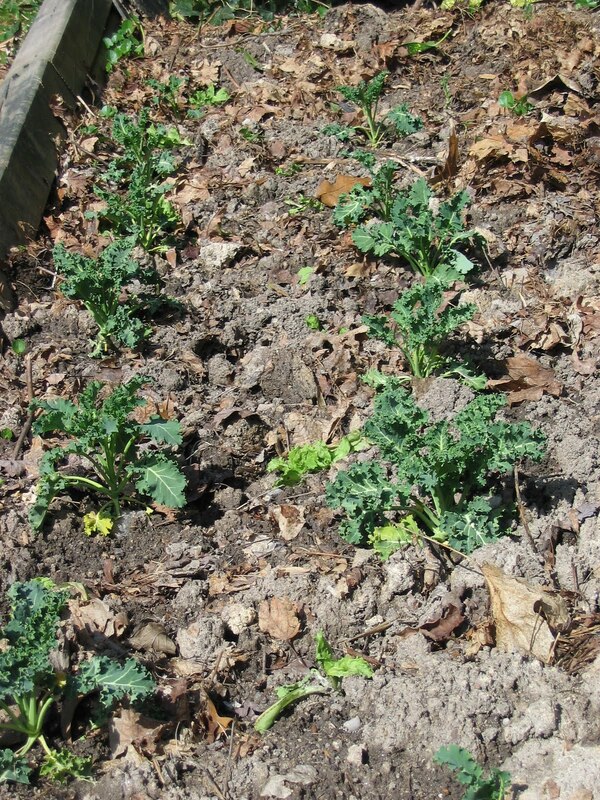 Last September I planted some curly kale in a pot on my patio with the intention of getting a head start with seedlings in the spring. In early December I moved the pot up against a sunny south-facing house wall. Even the snow of the early February blizzard didn’t seem to harm the seedlings and by late February they were putting out additional leaves. In mid-March, I transplanted them to the garden and they are now thriving. A surprise was the endive seedlings which also over-wintered in a container. I had expected they would be killed by frost, but in late November they were still alive. So I put that container near the house wall as well. 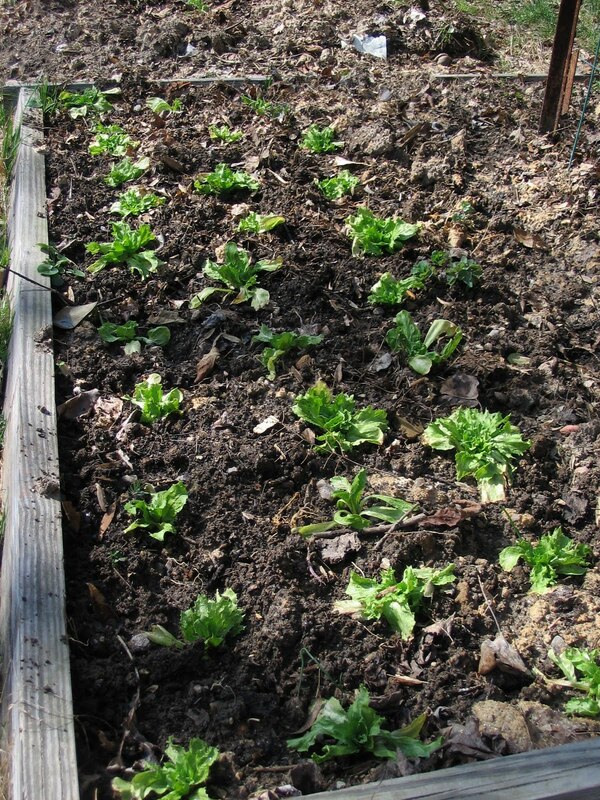 In early March the endive seedlings were a bit ragged, but definitely still alive. I transplanted them into a sunny, south-facing raised bed on March 12 and they are also now putting out new leaves.